Yes, the Chicago Bears' loss in the playoff matchup against the Philadelphia Eagles was a bit devastating. But could you make a 43-yard field goal? Didn't think so. This past Sunday, the Chicago Bears went up against the Philadelphia Eagles in an NFC wild-card game but fell one point short after Cody Parkey kicked a field goal that hit the upright post. This loss hit fans hard and they immediately began lashing out at Parkey (fans at Soldier Field even booed him as he left the field). This kick was his seventh missed kick of the season, which made fans even more outraged and fueled their hate-fire. 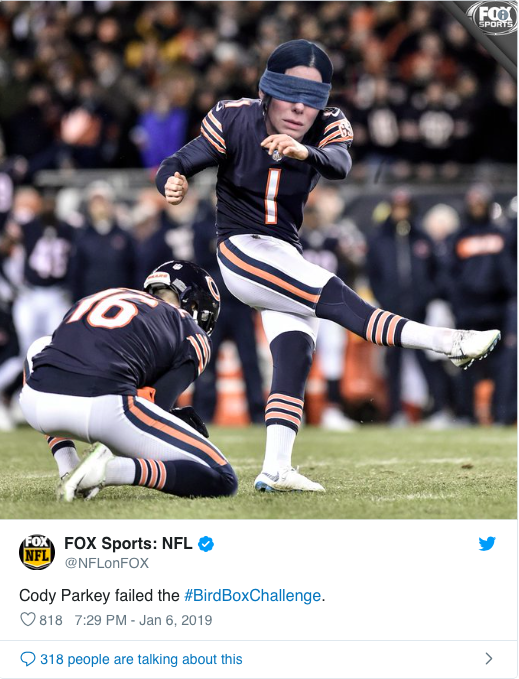 I completely understand the frustration behind this loss, and I get that Parkey is a professional athlete that gets paid to make those field goals. But as soon as fans start making claims to ~physically harm~ Parkey and his family, that's when things are taken too far. Parkey has gone on to interview after this loss and has taken full responsibility for the team's loss, saying "I feel terrible." He has shown us what it means to be a true athlete and a sincere team-player, yet he is still being ridiculed by the entire state of Illinois. I'm ashamed to say that I'm from the same city as these heartless 'fans.' While it was a heartbreaking loss, no one should ever be bullied to the point of death threats (especially over a FOOTBALL GAME). 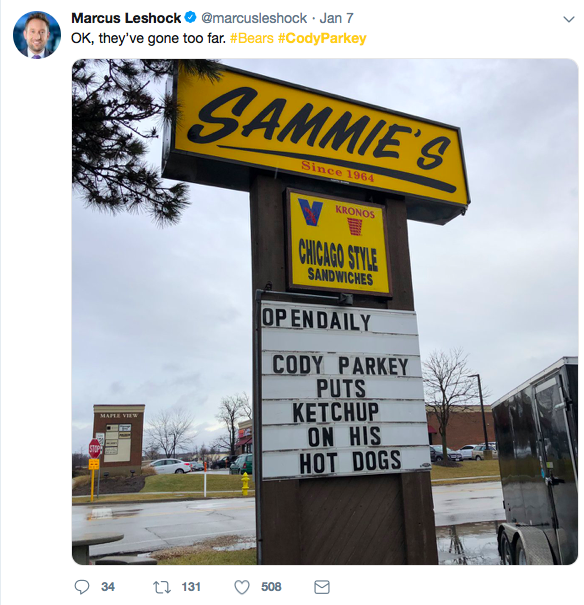 Not to mention, Cody Parkey single-handedly put up 27% of the Bears' points this season. If you're one of these people telling Parkey to do horrible things to himself, do me a favor and log out for a while. By the way, the NFL changed the call to a tip by Treyvon Hester (so you should really calm down).